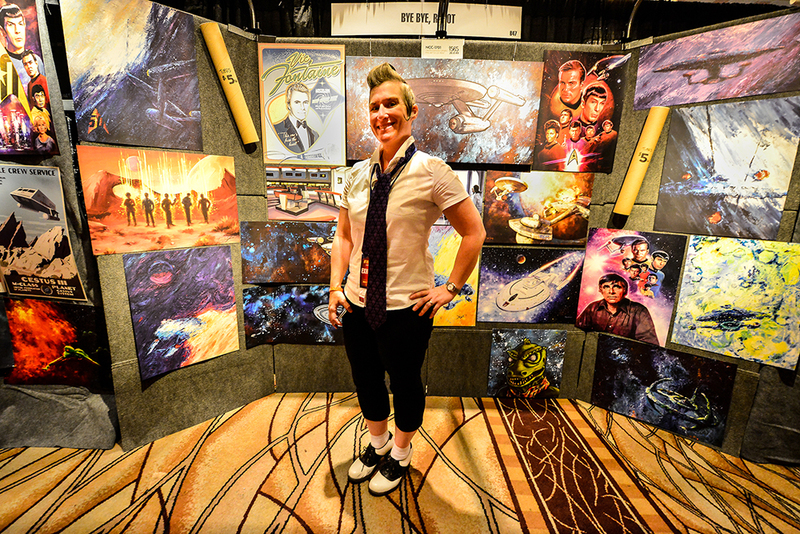 Charity Wood is a professional artist working in both traditional and digital media. Born and raised in Orange County, California she received her Bachelor of Fine Arts from California State University of Fullerton. Desiring to learn all aspects of digital applications for traditional media she worked one on one with professional artists at the leading Giclee Manufacturer in Southern California, helping them reproduce their works. This experience gave her the knowledge and understanding to create masterful reproductions. The end results are fine Giclees that capture beautiful detail and color with pin point accuracy. After graduating from CSUF she worked in the film & animation industry in Burbank, CA creating concept art, digital matte paintings, illustrations and compositing film. She currently works as a professional artist in the ever growing Austin, TX video game industry. During her tenure as a video game artist she has been fortunate to count concept art, illustration and in-game art among her credits. Throughout her industry career she has maintained a constant flow of traditional oil portraits and contemporary artwork for her many private clients and collectors. She has held several one-woman shows and numerous group exhibitions. Her distinctive “Pas de Lignes” style stands out, and her paintings are often found in Austin area shops and boutiques. More about Charity's painting technique. The original artworks, from which the prints are created, have a distinctively unorthodox origin. The painting technique utilized has evolved over many years of trial and determination. This unique painting process, devised by artist Charity Wood, can be described with the term, “Pas de Lignes”, which literally translated from French means “No Lines”. It’s an odd phrase that perfectly fits this particular style. Unlike outlines that would be painted as the final step, the black lines seen in these paintings are unpainted negative spaces. They are actually the unpainted black canvas showing through to the end. This technique begins by painting the entire canvas black and then slowly building up layers of translucent paint leaving the customarily shaded areas particularly thin to reveal the shadow of the black already on the canvas while simultaneously being vigilant to leave the areas that will become “Pas de Lignes” clean and unpainted. This can be thought of, more simply, as painting in reverse. As opposed to a standard piece of art upon which the lines are applied lastly, these paintings are painstakingly created, carefully preserving the negative black spaces - “Pas de Lignes” - that will serve to co-define and enhance the imagery.